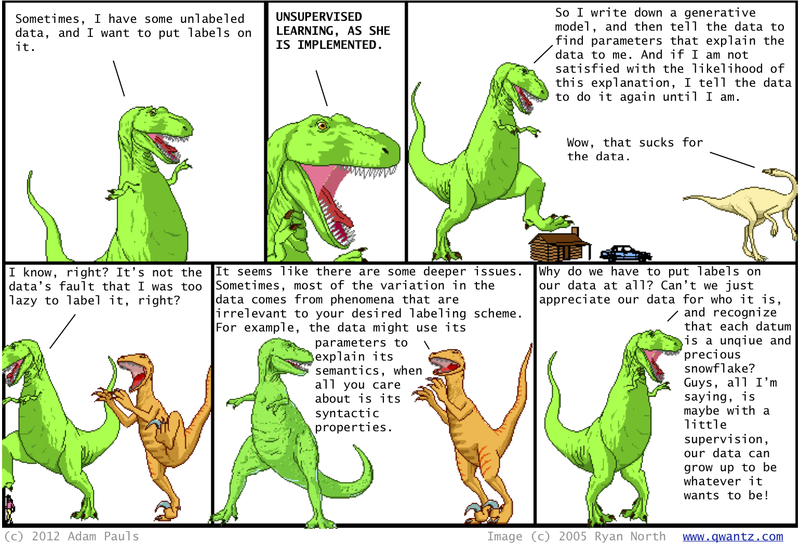 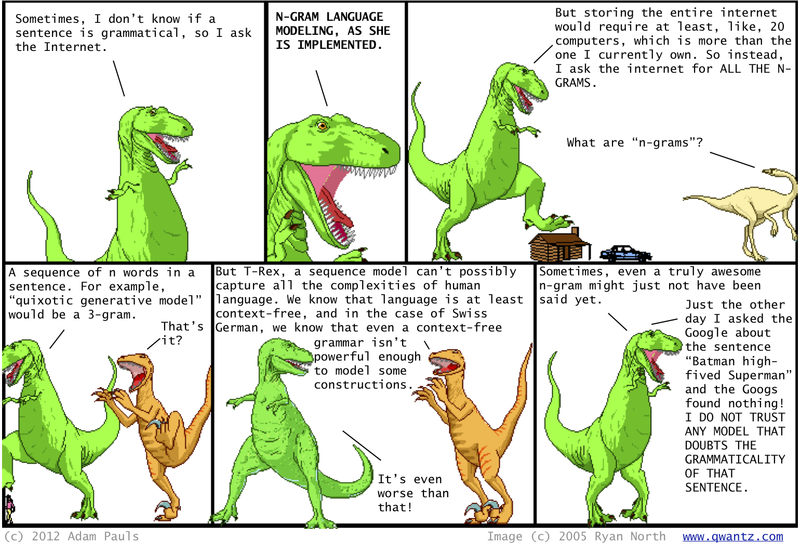 We're pretty big fans of Dinosaur Comics, a hilarious webcomic that occasionally features NLP. 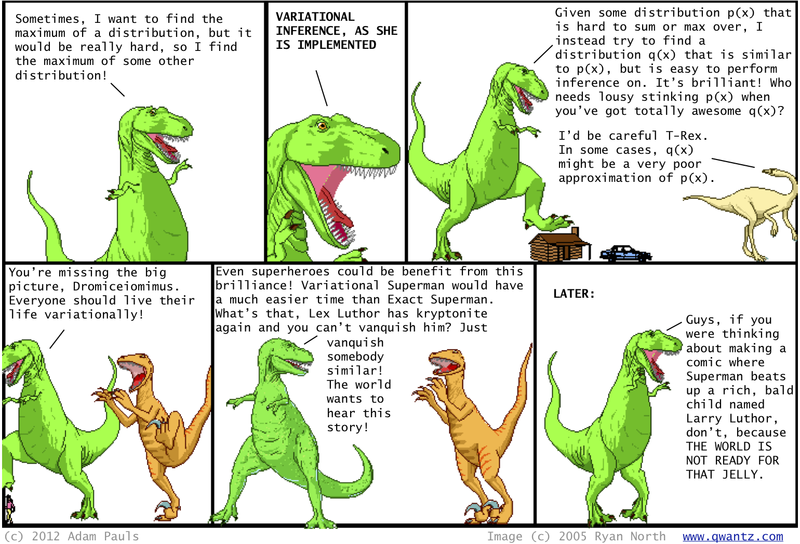 Dinosaur Comics is a constrained comic in which the image is fixed and only the dialogue changes, so it's easy to make your own! 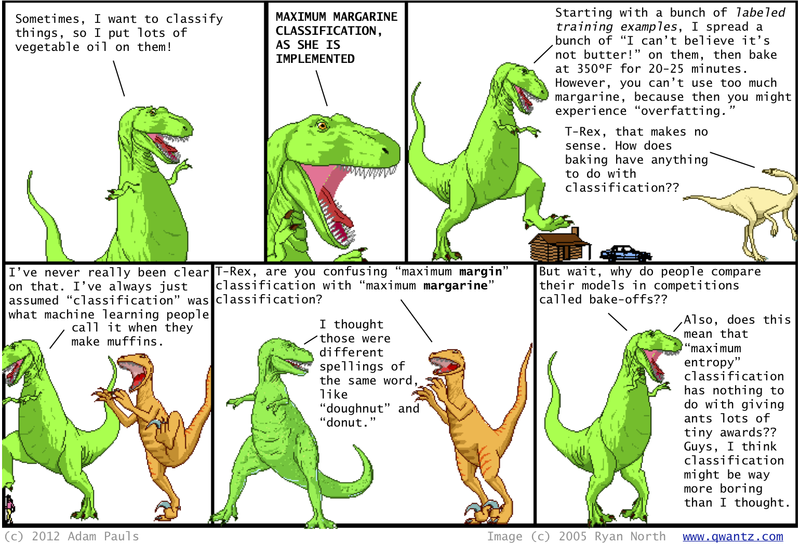 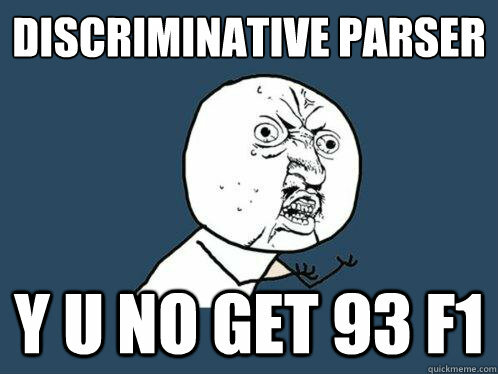 With permission from the author, we have decided to make a few of our own about NLP. 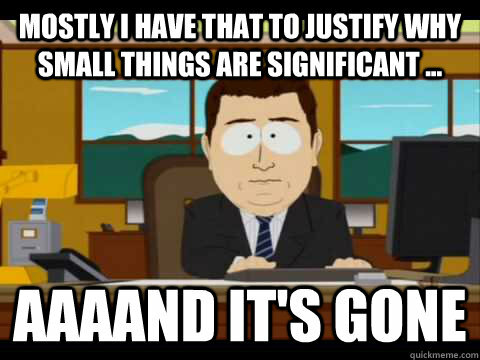 Sometimes we just do memes.